The Croc Bank has been breeding the gharial since 1989. 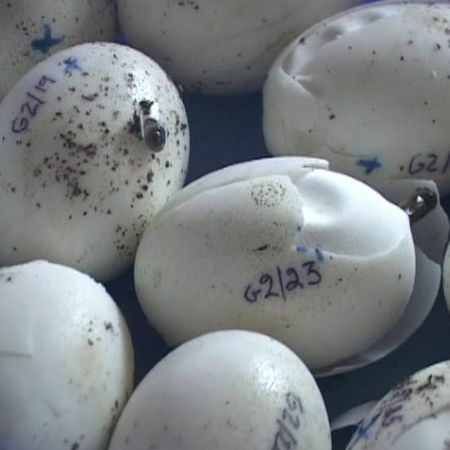 Other important successes include Batagur kachuga, the Indian painted roof turtle, which was bred for the first time ever in captivity in 2004. This rare and beautiful animal is protected under Schedule 1 of the Indian Wildlife Protection Act of 1972 and is also listed under the Action Plan Rating I of the IUCN/SSC Tortoise and Freshwater Turtle Specialist Group. Its distribution in India is limited to Uttar Pradesh, Madhya Pradesh, Bihar, Assam and West Bengal and habitat destruction, poaching and net-drowning has seriously decimated their populations. Another Batagur turtle, Batagur baska has fared even worse and seems to be almost extinct in the wild. A few individuals remain in captivity and two of these, both females, are at the Croc Bank and a male was acquired from Zoo Vienna in 2014. He has been introduced to the girls and after a 2 year wait, we successfully bred them and have 6 hatchlings this year. The captive breeding of endangered species lies at the heart of our in- house program. Many captive bred animals are translocated to various state forest departments & neighbouring countries for head starting and restocking programs. We also supply founder stock for other captive breeding initiatives and zoos. Over the years our self-taught propagation techniques for crocodilians, freshwater turtles, tortoises, water monitors & snakes including the king cobra have met with tremendous success and now represent the benchmark in this field. 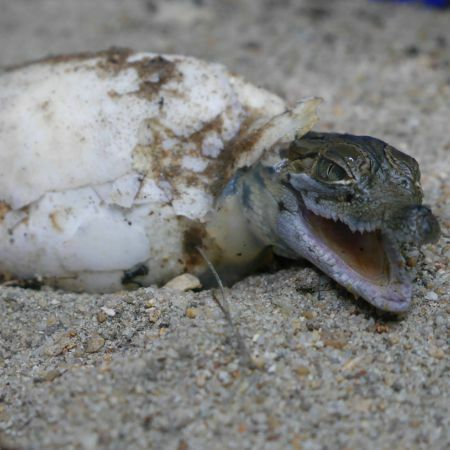 Present breeding efforts are focused on the critically endangered gharial and turtle species. The Croc Bank has a state of the art veterinary care section with an onsite vet. The veterinary staff works hand in hand with the curatorial staff to ensure that all animals are healthy and maintained under optimum conditions. Routine pathological and parasitological examinations are carried out on all our animals and a regular screening and treatment protocol is followed. Pit Tags give individual animals a unique identification number and help us keep track of medical histories. 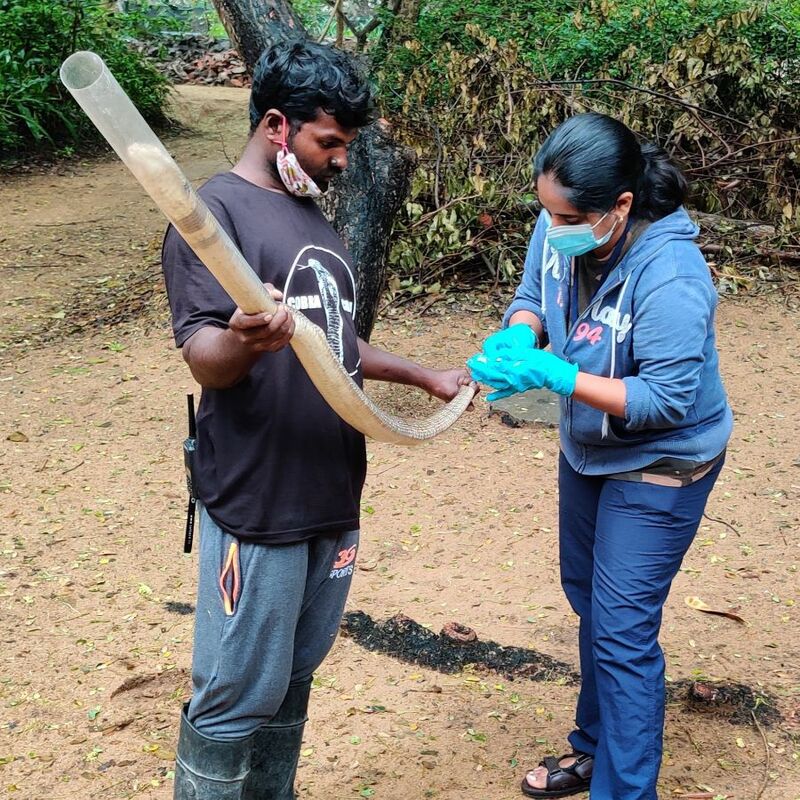 Capacity building in the form of reptile-centric veterinary training is carried out at the Croc Bank on a regular basis to help equip zoos and conservation projects throughout India. Throughout India and particularly on the periphery of protected areas, hundreds of people and livestock are attacked by crocodiles every year. Our goal is to assist the Indian Government and relevant authorities in finding lasting solutions to this highly emotional problem of human wildlife conflict. Over the last few years the Croc Bank has been carrying out extensive applied research on the problems associated with mugger and saltwater crocodiles living in densely populated areas. Our team of travelling biologists are currently working in Maharashtra, Gujarat, Chhattisgarh as well as the Andaman Islands. The Croc Bank will continue its work in the fields of research, conservation and education. Venomous snakes and snakebite mitigation work is ongoing, with the Living with Snakes project creating modules for building public awareness. These will include printed material, film, classroom activities and games. Snake venoms from different states are being tested, to study the efficacy of polyvalent antivenom serum. At our field station in Agumbe, the second phase of the king cobra telemetry study is about to start. In the Andamans-Nicobars, ongoing research includes leatherback nesting sites, invasive species, and ecological effects of the fishing industry. 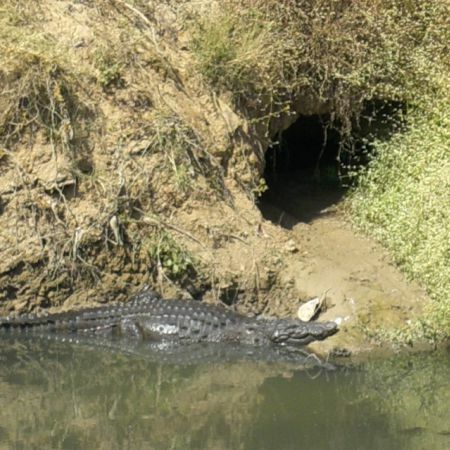 On the Chambal River in the north, homeland of the gharial, radio-tagged gharial and mugger continue to be monitored. 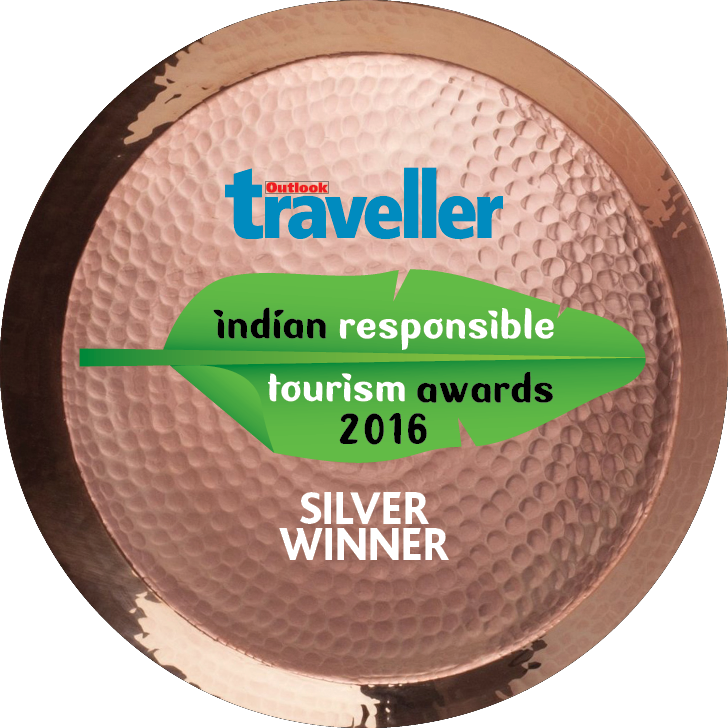 Others in the pipeline include outreach programs in rural schools, an interpretation centre at ARRS, Agumbe, and building awareness about environmental issues in the Andamans-Nicobars.